I have already noted the report on progress with family, civil and administrative justice. This entry summarises a recent note on progress with the transformation of the criminal justice system. There are 11 projects listed which relate to criminal justice.This note sets out the main ones. The Single Justice Service (SJS) contains all services delivered by the magistrates’ court which can be considered by a single magistrate. 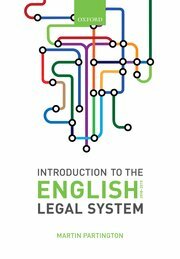 It builds upon the implementation of the Single Justice Procedure (SJP), introducedto process some 850,000 summary non-imprisonable cases per year; this involves working with prosecutors, including TV Licensing, TfL, the DVLA, the police and other non-police prosecutors such as local authorities. The purpose of the SJS is to deal more proportionately with the least serious offences, to which the majority of defendants either do not respond or plead guilty, and which almost exclusively result in a financial penalty. Subject to legislation, this may include the ability to accept a statutory fixed fine online for the most minor offences (in which case the implications of doing so will be carefully and clearly explained). The option for a hearing will remain. The SJS is underpinned by a digital system known as Automated Track Case Management (ATCM) and is supported by the Single Justice Service Centre (SJSC). So far, the service is live for cases prosecuted by TfL (Transport for London). Those who plead not guilty have the case transferred for a hearing in the magistrates’ court. Since 12 April 2018, defendants have been able to plead online if they choose to do so (rather than on paper). The SJSC team based in Stoke takes calls from defendants and help those who would like to plead online to do so. The ability to plead online builds on the experience of the ‘Make a Plea’ service, which has been live since August 2014, for defendants involved in summary non-imprisonable motoring offences, such as speeding and having no insurance, and has been rolled out to all 43 police forces. During 2017, over 83,000 pleas were registered through this service and it now receives around 1,600 pleas online each week. Online plea and allocation: This aim of the project is it make it possible for represented defendants (through their legal representative) to indicate a plea online, before coming to court; and for decisions on allocation to be taken outside the courtroom where that is appropriate. The aim is to support earlier engagement with the court and swifter allocation of cases, and to free up courtroom space and time currently used to hear pleas. Subject to legislation, the project will also enable indictable only cases to go straight to the Crown Court without the need for an unnecessary hearing in the magistrates’ court. Case progression project: This project aims to ensure all activities required to achieve an effective trial or sentencing hearing in the magistrates’ and Crown courts are carried out by the participants to the case in advance, and that trial and sentencing hearings can go ahead as planned. It builds on the recommendations of the Leveson report on criminal justice efficiency and will enable some case progression activity to take place outside the courtroom through online, audio and video channels. Court hearings project: This project is specifically focused on trials and sentencing hearings in both the magistrates’ and Crown courts. This project will ensure that criminal trials and sentencing hearings are enabled by the right technology and physical environment in the courtroom to ensure the smooth running of the hearings on the day, building on the increasing use of technology that we see already in the criminal courts. Video remand hearings: This service aims to transform the way in which hearings for defendants held in custody could be administered in the future, and ultimately enable suitable proceedings to be held fully by video (in other words, with the option of not just the defendant, but others appearing by video, subject to judicial agreement and discretion). The aim is to reduce the amount of time defendants are held in custody without a judicial decision, particularly the number of defendants held overnight, and to reduce unnecessary journeys. It is also an opportunity to improve processes around those appearing on video from the police station now, including improving access to early legal advice. Youth project: This project will look specifically at the needs of children and young defendants to ensure that we do not apply adult processes to children, but instead look at each stage of the process and shape a version of it that is appropriate for young people, with the right safeguards and enhancements. All these service projects are underpinned by the digital infrastructure known as the Common Platform, a shared system between the police, HMCTS and CPS and accessible by participants across the criminal justice system. This will allow earlier access to the Initial Details of the Prosecution Case (IDPC) for legal professionals; better handling of multimedia; a single, shared view of cases; and direct transmission of case results to those who ought to know.